Boys, go go. Girls, let's rumba. ... 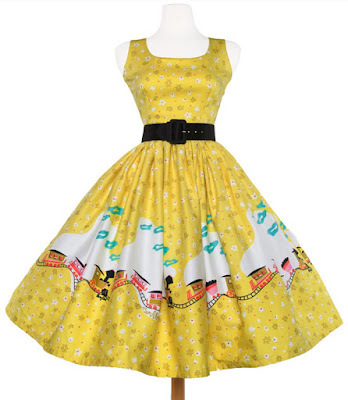 If by rumba you mean check out this AMAZING collection of clothing items for WDW ladies. Oh, shoot. Someone tell the crossdressing guys to come back; they'll want to see this too. I like to online window shop and I like '40s and '50s retro, so when I stumbled upon Pinup Girls Clothing I immediately started to browse. I saw most of what I expected - vintage-inspired items in retro cuts, exactly like it says on the label. It all fell in line with my preferred aesthetic but nothing was earth-shattering. Guys, they have a collaboration with the Mary Blair estate. THEY HAVE CLOTHES WITH MARY BLAIR DRAWINGS ON THEM. If you're not sure who this Mary Blair character is, brush up on your Disney history here. Suffice it to say this Disney Legend was a massive influence on the creation of many early Disney movies, Disneyland, AND Walt Disney World. Perhaps you're familiar with a little ride called it's a small world? Or the Grand Canyon Concourse mural in the Contemporary Resort? 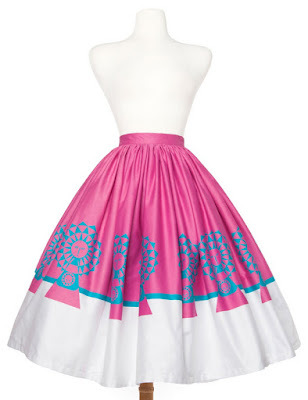 And now we can have retro skirts and dresses with Mary Blair drawings on them??? Be still my beating heart! They're not Disney designs, obviously, but her style is unmistakable. I'm so torn. I WANT ONE - but they're a trifle expensive. And a lot of styles are already sold out. 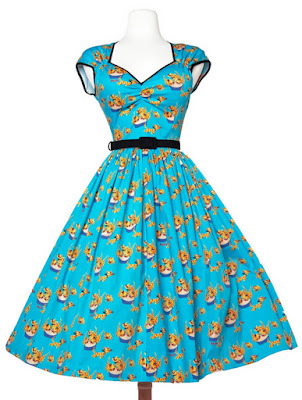 But c'mon - what little Disney dork can resist the opportunity to WEAR MARY BLAIR in the Magic Kingdom? 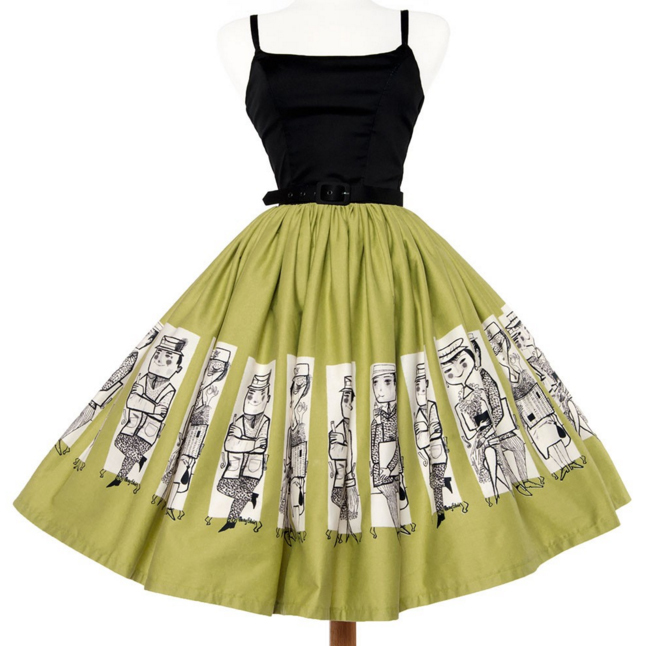 The dresses and skirts run $88 - $160 , and as I said, a lot are already sold out; if you're interested, I'd jump on it. There are a ton more designs than I've featured here; click here to check out the whole collection (as far as I can tell; I searched "Mary Blair"). They also have some other clearly Disney-inspired pieces like castle prints. Oh, and there are plus size versions if that helps! Will you be buying a Mary Blair piece? While these are all super cute and tempting, they're WAY out of my budget. Le sigh. Me too. :( They send me a 50% off code, maybe we can talk.